BS/MS equivalent: Agricultural Engineering (1992): Universitat Politècnica de Catalunya, Lleida, Spain. 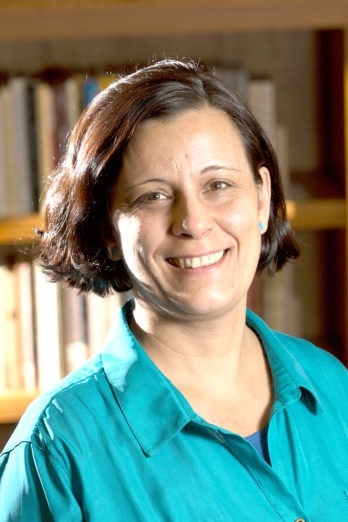 Dr. Maria Navarro has worked in international development and agricultural education in the U.S., Europe, Latin America, Africa, the Middle East, and Western Asia. She completed an undergraduate degree in agricultural engineering in 1992 and then worked in the International Center for Advanced Mediterranean Agronomic Studies (CIHEAM – IAMZ) until she moved to the US to complete her Ph.D. Since 2005 she has been on the faculty of the University of Georgia. In January 2018, she became the Associate Director of the UGA Honors Program and the Center for Undergraduate Research Opportunities (CURO). Currently, Dr. Navarro teaches a course on global food security for ALEC-CAES, ALDR/AFST/LACS 3820 Reflections on Fighting Hunger (which is included in UGA Core Curriculum Area V – Social Sciences) and several courses and workshops for CURO (Center for Undergraduate Research Opportunities) and the Honors Program. Enhancing the learning experience of national needs fellows in food and nutrition for health. USDA-NIFA-HEP. $238,500. Integrating humanistic studies into engineering education (USDA, $98,500). 1991-1997: Coordinator, Plant Production Area, International Center for Advanced Mediterranean Agronomic Studies (CIHEAM - IAMZ). 2011 J. Hatten Howard III Award, UGA Honors Program. Navarro, M., Foutz, T. L., Patrick Singer, K., & Thompson, S. (2016). Development of a pedagogical model to help engineering faculty design interdisciplinary curricula. International Journal of Teaching and Learning in Higher Education, 28(2), 372-384. Navarro M., Heath S. B., Lopez-Francos, A., & Romagosa, I. (2015). Report and conclusions: Agricultural Higher Education in the 21st Century. OPTIONS Méditerranéennes, Séries A(113), 5-11. Shinn, G., Navarro M., & Briers, G. 2015). Role of quality assurance and program accreditation in supporting development of innovative agricultural curricula. OPTIONS Méditerranéennes, Séries A(113), 153-170. Paterson, A., Cox, S., Kong, W., & Navarro, M. (2013). Chapter 8: Viewpoint: Multiple-harvest sorghums toward improved food security. In C. Batello, S. Cox, L. Wade, N. Pogna, A. Bozzini, & J. Choptiany (Eds. ): Biodiversity & Ecosystem Services in agricultural production: Perennial crops for food security. pp. 57-67. Food and Agriculture Organization of the United Nations, Rome. Navarro, M. (2011, 2013). The Millennium Development Goals and agriculture in rural Sub-Saharan Africa. In I. S. Aderibigbe & A. Ojo (Eds. ), Continental Complexities: A Multidisciplinary Introduction to Africa (1st and Revised Edition). Cognella Academic Publishing. San Diego, CA. Dooley, K. E., Roberts, G., Navarro, M., Harder, A., Murphrey, T., Ricketts, J., & Lindner, J. (2011). Teaching locally, engaging globally to enhance the undergraduate curriculum: A social science research and evaluation perspective. Journal of Agricultural Science and Technology, 5(5), 24-32.